For all those fans of the classic-shaped 'black cab' Fairway (nee Austin) FX4, 2013 represents your last (legal) chance to flag down a legend in London. Rolling licensing set at 15 years means that the very last of the breed will see out their last days on the capital's streets. Transport for London's (TfL) air quality strategy, introduced in 2012, saw the introduction of a rolling 15 year licensing plan. The initiative, which is part of the Low Emission Zone – LEZ – scheme means that as of 1 January 2013, no cab registered before the end of 1997 will be allowed to ply its trade in the city. According to TfL's own figures (published in the 2012 document, The Mayor’s Draft Air Quality Strategy), there's just a handful - believed to be seven - of the Nissan-powered Fairway FX4s now remaining in service in London. The final car, R44CAB, is due to leave service on 1 October 2013. 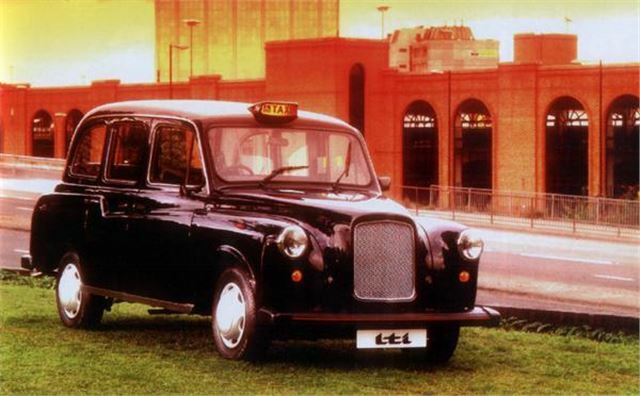 The FX4's replacement, the now-troubled TX4, was introduced at the 1997 British motor show (in TX1 form), and went into production at the end of that year. However, a number of Fairway FX4s remained unsold into 1998 (and '99! ), meaning they have slipped the current 15-year catchment. Of course, the FX4 remains alive and well in other UK cities, although it's expected that LEZ legislation will be spreading throughout the UK in the coming years. So, if you see an ageing FX4 in London, flag it down, as it might be your last ever chance.